I love food...i love writing. Combined on a crazy whim, my two major interests are now like chocolate and chilli! Letssstalkfood does literally that. From Restaurant and food related event reviews to recipes, Interviews; this blog covers it all! Drool away! “I love simple cakes. 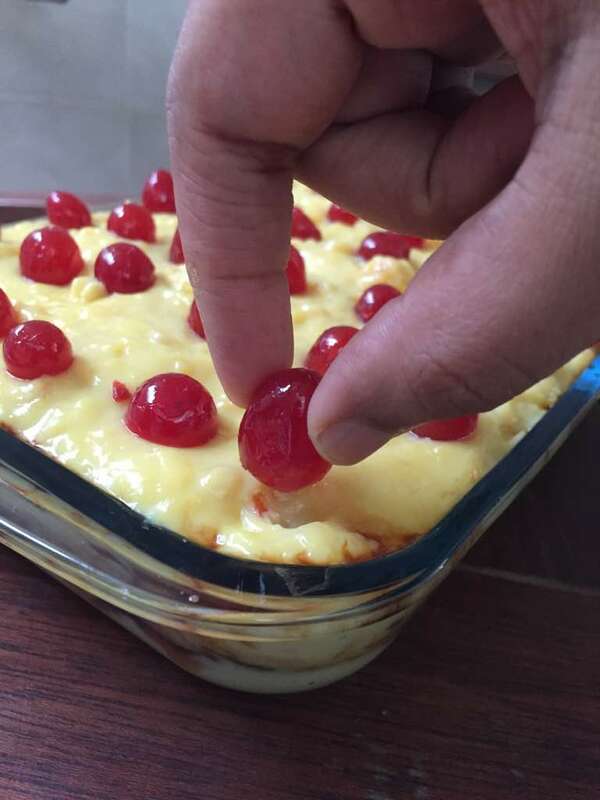 Whichever cake I make, I want people to want to immediately cut a big slice and eat it!” says LAKSHMI RATISH, Owner and Baker at VANILLA BEAN CAKES, Tripunithura. My introduction to Lakshmi’s baked delights was truly serendipitous in nature. Many months ago, my boss walked in with a box full of cute little chocolate cupcakes. As corny as it may sound, it was love at first bite! I had yet to taste a cake as moist as the one I was chomping on! And that buttercream! It was something special indeed! Unfortunately, the box didn’t have a label and I was left floundering for a little while. A few hours later, after a ton of enquiries I finally zoned in on Lakshmi and Vanilla Bean Cakes. And moist it is! Lakshmi’s cakes have this fantastic combination of textures which I love! Her cakes are dense but with a moistness that is beyond compare! That is the kind of cake I love indulging in! Before settling in Cochin, Lakshmi was an HR manager working in a leading oil and gas company. She came into baking purely by chance, again serendipitous! A horrible mishap with her daughter’s first birthday cake led her to vow that only she would bake her daughter’s birthday cakes in the future. One thing led to another and for over 3 years, Lakshmi has been baking for her family and friends. Finally in 2015, Vanilla Bean Cakes took root and there has been no turning back. Lakshmi had a hoard of goodies waiting for me to sample. A box of RED VELVET AND CREAM CHEESE BROWNIES, they were super moist and chewy with the knobs of cream cheese adding a lovely tanginess that cuts through the rich red velvet. 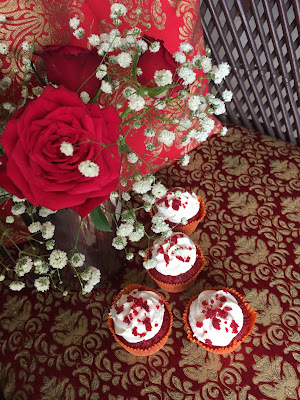 Another flavour profile with the red velvet was a box of RED VELVET CUPCAKES WITH CREAM CHEESE. 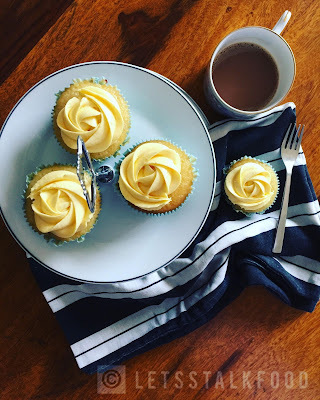 It may sound like just another cupcake but oh wow! The moist factor is out of this world! The final box contained some BLUEBERRY CUPCAKES WITH LEMON BUTTERCREAM. The cake was as always dense yet moist with hidden jewels of blueberries, topped with a seriously delicious lemon buttercream frosting! “Almost 1kg of fruits and vegetables go into making 300 ml of Rawsqueezed juice” says Tess James of RAWSQUEEZED. With refreshing cold pressed juices delivered to your doorstep, RAWSQUEEZED and its army of five have been making waves in Cochin. The moment I saw the ad for their website on Facebook, I knew I had to try the product. Enter into a cheery website that offered a cornucopia of juices from the simple (Pure Carrot and Pure Orange) to complex concoctions (Liver Lover- Baby Spinach, Carrot and Celery and ABC- Apple Beetroot and Carrot). The wide varieties have one thing in common; they are absolutely delicious and hearty! 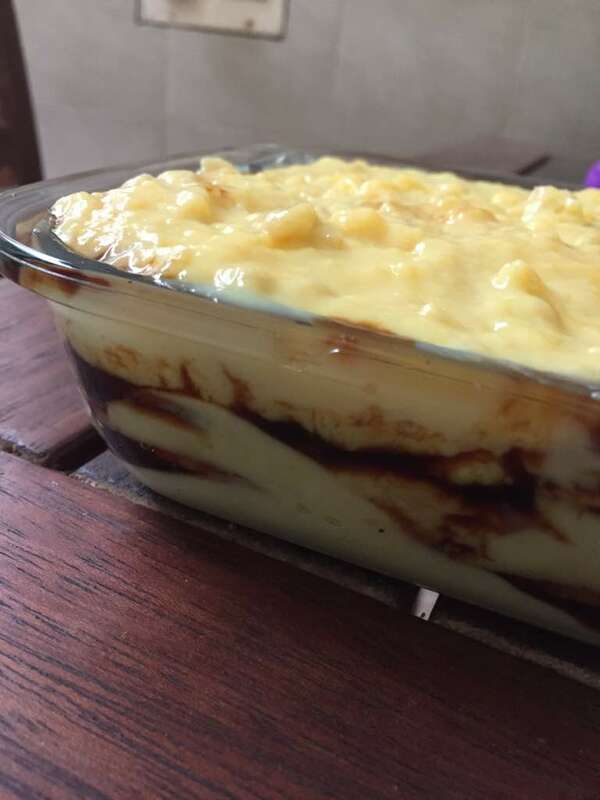 “We were a bunch of friends who love great food and always wanted to start a food related business. After several discussions and research, we came to conclude that quality fresh juice delivered home was a niche that was waiting to be filled. We started digging into recipes and consulting nutritionists about a year back. Six months ago SARUN MURALI, Founder imported the required cold press machinery to Cochin and we had a soft launch on April 6th”, shares Tess who is the brand consultant, content writer, and advisor to RawSqueezed. She works with alternative movements and ideologies close to earth, community and self-care. Cochin has been a slightly tough nut to crack when it comes to innovative products, especially the ones lean toward a heavier price range. Rawsqueezed first hit Infopark with a selection of their juices, talking to customers about the health benefits each mix offered and by two in the afternoon, they were completely sold out! With awareness spreading amongst Kochiities, the number of bottles sold slowly started to rise, and with many loyalists ordering juice daily, Rawsqueezed will be starting subscriptions from next month on. More than the amount of wastage, the way the juice tastes in both methods is extremely different. Juices from cold press machines taste vastly fresher, thicker and almost alive! It leaves one invigorated and refreshed! The quality and safety aspect of fruits and vegetables used for juices is another concern raised by customers. The company is hoping to build their own organic farm source in the near future but for the time being, only the choicest fruits and vegetables (seasonally available) are sterilized and detoxified before it hits the machine. “70% of the so called ‘organic’ produce available in the markets are a sham. In the current scenario, having juice would be considered safer than having a fruit or vegetable whole!” says Tess. The team however makes it clear that no amount of fresh juice would substitute a good, healthy food filled with fibre. Raw Squeezed promotes a ‘HEAL YOUR GUT’ option on their website which has an array of detox juices that help your body get the adequate rest it requires. 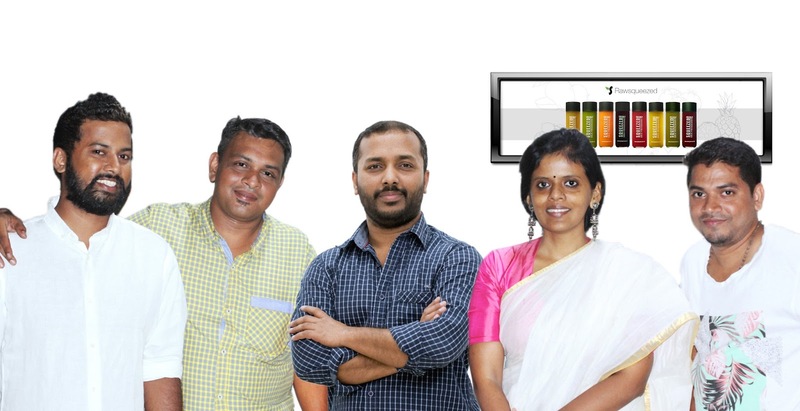 The team is planning to add Kottayam, Calicut and Trivandrum into their range of delivery but for the time being they plan to create more awareness and attain more customers in Cochin. With the concept of holistic living and natural hygiene in mind, Rawsqueezed has in mind to include smoothies, a variety of nut milks, chia seeds and cococnut milk based drinks in the near future. They are currently researching good options for drinks during the monsoon. Chef James had brought me three juices to try: ABC- Apple, Beetroot and Carrot, PURE CARROT and COLD BREEZE. I was a little skeptical about the mix of fruits and vegetables but oh wow! It was so good! Rich and thick with the sweetness of Apple and Carrot and an earthy tang of beet, ABC was a hearty drink. PURE CARROT has become a favorite drink period! It tastes smooth, sweet and nourishing. COLD BREEZE was like a invigorating whisper of cucumber with the sweetness of Pineapple highlighted with fresh mint. I am a fan and constant customer. End of story! - SARUN MURALI (Founder)- A vegetarian by choice and an avid cold presser at home, Sarun started the project in early 2016. Passionate about food and owner of Shradha Speciality Products, he has been dreaming about into the business of food for many years. - JAYADEV SUKUMARAN (Marketing Manager)- With over 14 years of experience in sales and marketing, Jayadev joined rawsqueezed with the understanding that his wealth of experience and capacity to learn quickly in new environments would help his close friend’s dream venture. - JOJI BABU (Delivery Manager)- Handles deliveries across Cochin. 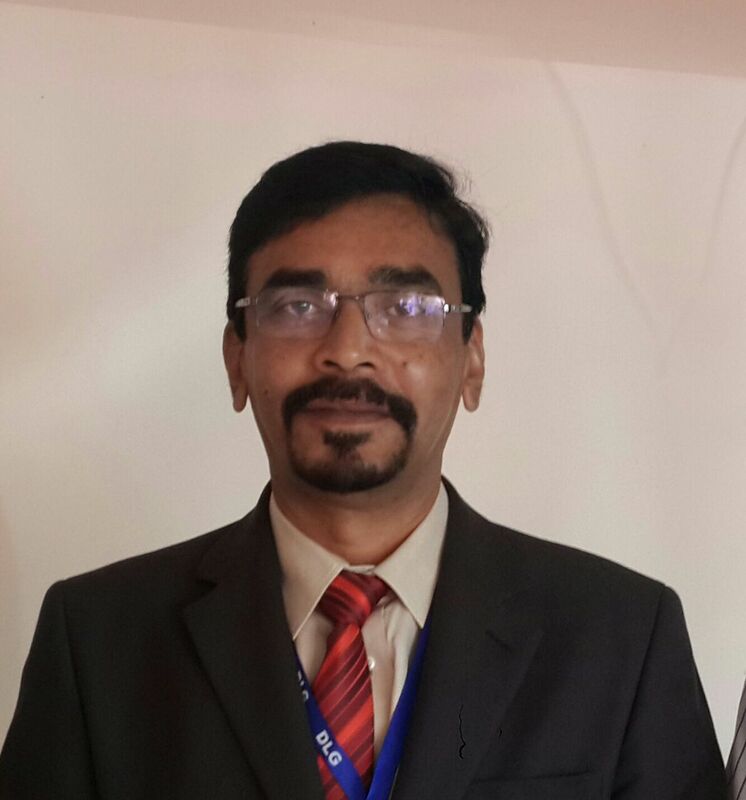 With more than 8 years of experience in sales and marketing, his patience and jovial attitude comes highly valued at Rawsqueezed. - AJITH (Technical Consultant)- also known as the “Machine Doctor” at Rawsqueezed, he takes care of the cold press and is an ingenious technician. 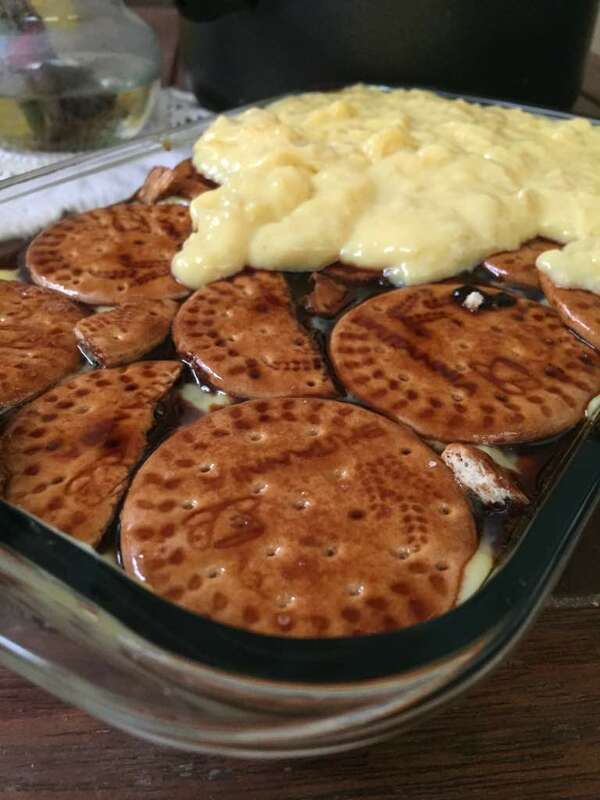 COFFEE BISCUIT PUDDING is a poorer cousin of the Tiramisu which takes half the effort to make with no compromise whatsoever on taste. 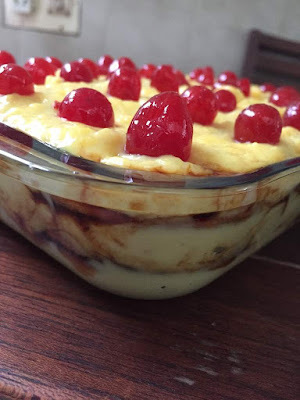 A non bake dessert so rich and delightful, you'll look forward to every get together to show off this yum treat! - In a large saucepan, add one and a half packets of milk, one tin of condensed milk and bring to a slow boil. - Add the custard powder into the remaining half litre of milk, mix till fully dissolved. - Pour the custard mix very slowly into the boiling condensed milk mixture. - Stir till the mixture thickens. And switch off the stove. 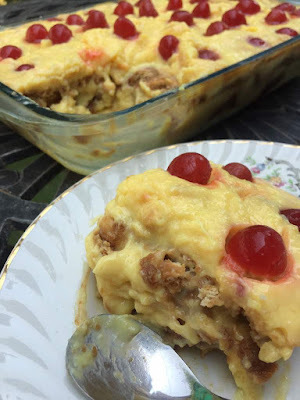 - Roughly chop some cashewnuts and mix into the custard. - In a pan add water and sugar. Boil and keep stirring until it takes syrup form. - Into the sugar syrup, add the coffee and stir to combine. - Refrigerate overnight to attain perfect layers. - This dish is best served with a dollop of cream or fresh fruits to cut through all the richness. Enjoy! “Our meat has a traceable lineage” says Mr.O.K.Sanjit, CEO and Chairman of DLG, the parent company of RANCH PORK. I was drawn to the On Flea K solely because of news from foodies far and wide about a rather exciting stall that was wooing everyone with their amazing pork barbecue! 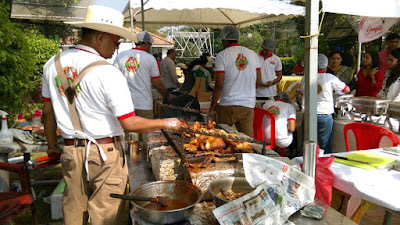 I wound up at the Ranch Pork stall with the tantalizing aroma of barbecue being my sole guide! Tending the pit and dishing out plate upon plate of glistening, barbecued pork chops, succulent grilled ham and juicy ribs, (all smothered in a house made barbecue sauce that was beyond mind blowing) was a rather jovial individual whose excitement and energy was quite contagious. 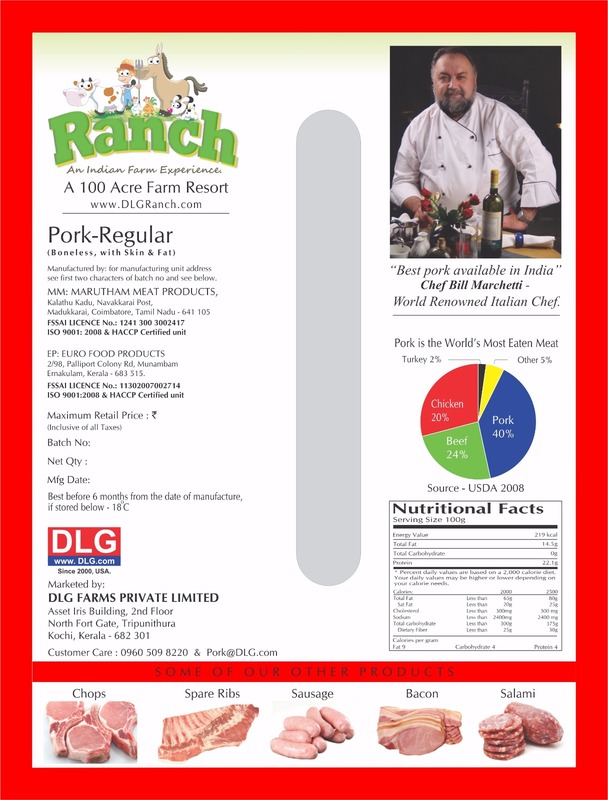 Ranch Pork sold out on both days during lunch and dinner; which was of course no surprise! The people crowding the stall fell in love with the tender, delicious meat and the pure effervescence that was O.K! The following Saturday found me in conversation with Mr. Sanjit at the swanky DLG office in Tripunithura. As an individual who was well travelled, he did have some exciting tales to share with me…about the time he became a cook at a mutual friend’s house in the US when his visa expired or how about the time he turned from cook to accounts manager due to his prowess with numbers or how about the time the accounts manager turned owner of several companies…yes…Mr.Sanjit had some fantastic tales to share! A farmer by choice, Mr.Sanjit had his beginnings in the field of electronics, then sales, real estate and finally into farming. “Money doesn’t excite me. The excitement and challenges of new ventures is what I enjoy. 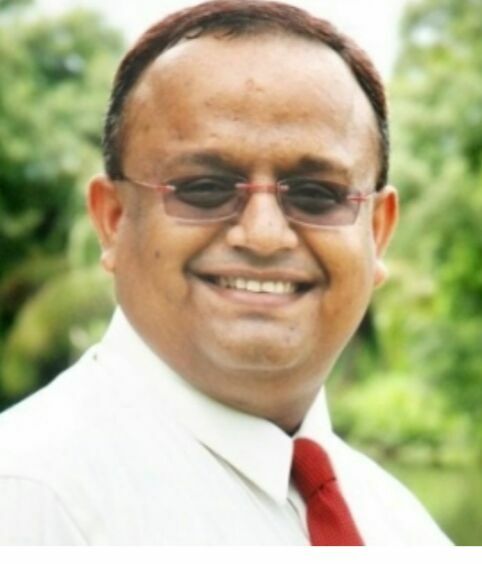 My work chart is like a rocket…it rises and drops…but I do that on purpose because I need a constant sense of challenge.” Explains Mr.Sanjit. 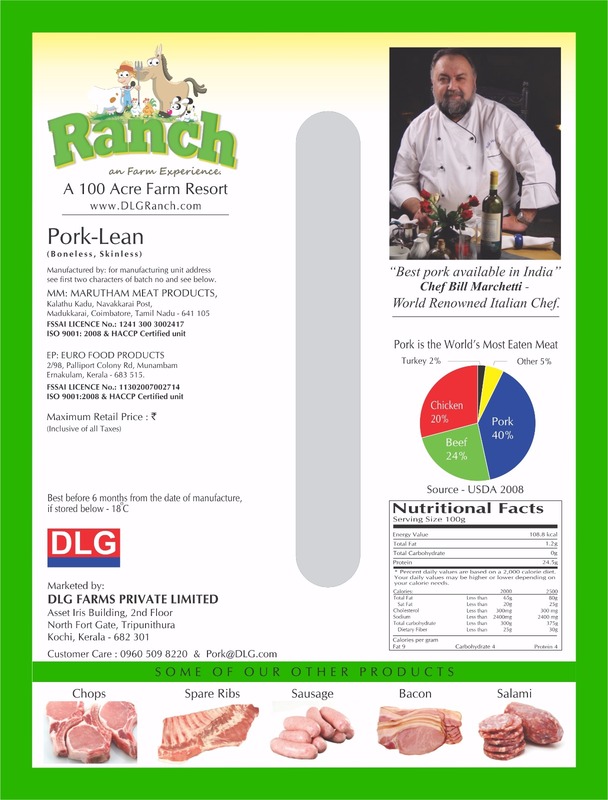 Ranch Pork was a venture that was entered into solely for the reason of trying something new. With a deep rooted love for animals, Mr.Sanjit decided to try a hand at farming and livestock breeding. From breeding the company moved to sale of pork meat and products sensing a wide opening for the same. 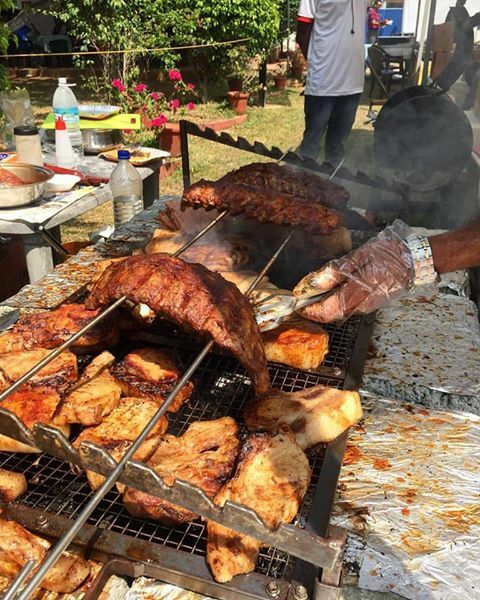 “Goa, Kerala and the North East are the largest consumers of Pork. Till 25 years back, only black pigs was available for consumption. These pigs have no ancestry to trace and their meat is not of the best quality. 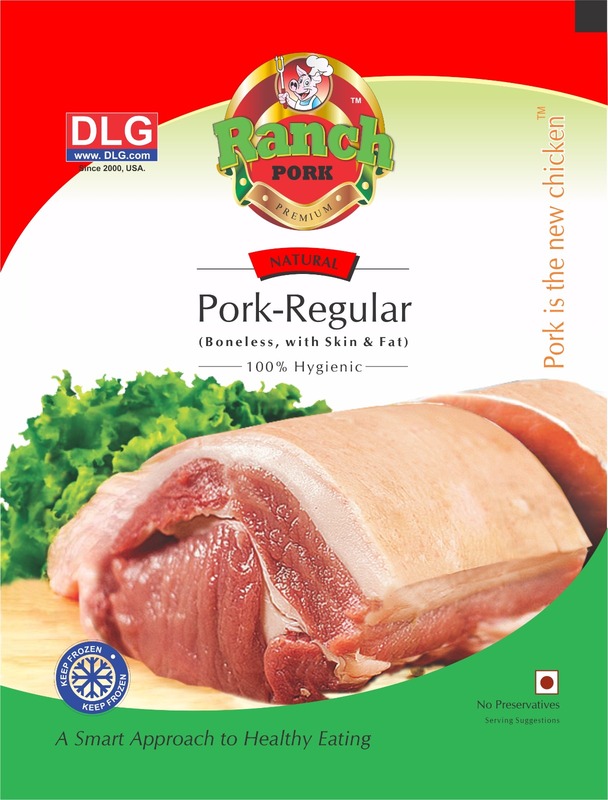 Pork meat should be rose in colour with good marbelling” Ranch Pork provides consumers with top quality cuts and products made from white pigs that are grown in the most hygiene of environments and can be traced back to their great-greats in France! When the common man thinks of livestock breeding, the used to concept of mating a random animal with another surfaces. That’s not the procedure at DLG. Here, they go down to the DNA level to ensure that the resultant offspring is in every way perfect. This is possible through the use of a rather fascinating software (yes, software!) into which data of the pig in question and its relatives are manually entered. The software then does its share of mix and match to arrive at which boar and which gilt (a female pig that has not birthed) or sow would produce the ideal set of piglets. There are mainly three strains of dominant pig genes in the world: Land Race, from Europe, Large White, again from Europe and the Duroc from the US; most of the offspring are a mix between the three strains. To explain the software to me, Mr. Sanjit brings in Dr.C.P.Gopakumar, Managing Director of DLG and a pioneer in pig breeding. Prior to DLG, Dr.Gopakumar was working with the Kerala Government in the Livestock Development Board for 18 years. Credited with introducing the Duroc breed in India, Dr.Gopakumar gets right down to business and shows me a hands on run through of the software. “Each of our piglets has a tag which gives every details possible about it; right from its mother and father, grandparents and great grandparents to when it was last vaccinated, its weight etc” shares Dr.Gopakumar. He then proceeds to show me details of a piglet’s grand uncle in the UK and I was beside myself with wonder. 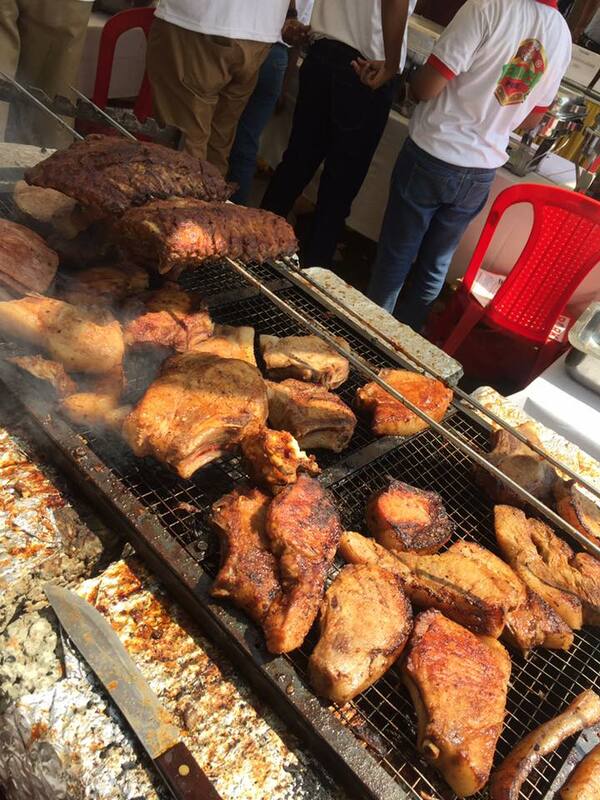 The breeders, farmers and sales outlets that handle Ranch pork is also traceable right to who processed the meat and where! 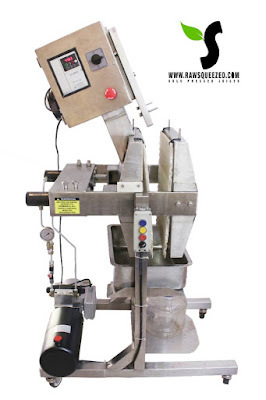 This ensures that a safety net is thrown on the product with reference to good quality and hygiene. “Our hygiene conditions at the farm are extremely stringent. Even if I want to visit the breeding area, I will be put under quarantine on a resort located in the farm for 48 hours. On the 49th hour, I will be allowed to visit the breeding area, after a chemical cleanse and appropriate attire!” shares Mr. Sanjit. 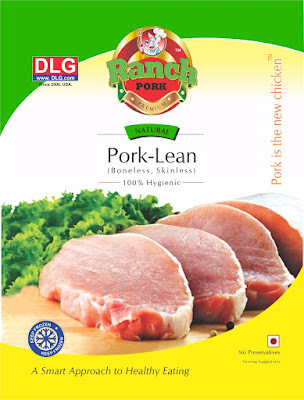 Ranch Pork supplies portioned meat- Prime cuts, chops, ribs, around 10 types of loins and baby back ribs and processed meat products such as sausages, bacon, ham and salami all throughout India. 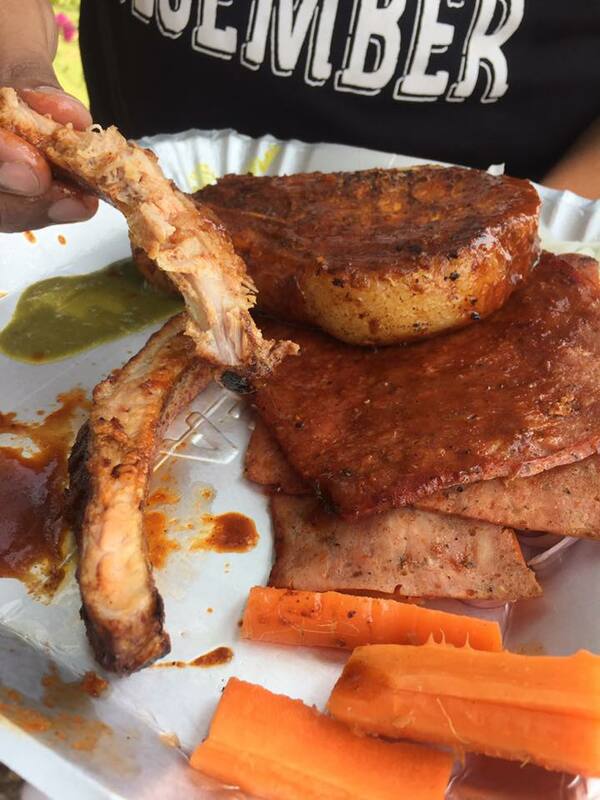 There are several non vegetarians who have an aversion to consuming pork. This stems from the belief that pigs are unclean animals. The gentlemen at DLG believe that the knowing the pedigree of an animal helps dispel many of the quality and hygeiene rumours surrounding the animal. Around 90% of the animals that come to Kerala are from the roadside but DLG provides meat that is traceable and high in quality. “The time at which meat is cooked and consumed is quite crucial. 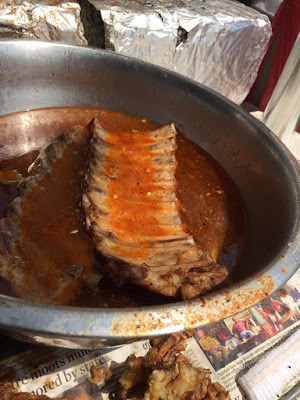 For the meat to be juicy after cooking, it should be able to hold water. The best time for consumption is 2-4 hours after the meat I processed. Do not put the meat into the fridge fresh from the butchers as this reduces water holding capacity. This makes the meat dry and mealy once cooked” Says Dr.Gopakumar. 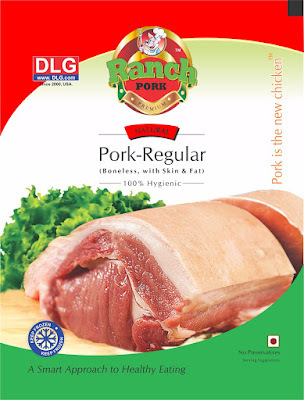 DLG thus does not sell pork wholesale to suppliers. The meat stored at the right time and temperature is packaged and branded and then sold to various suppliers. The product has been such a hit that advertising was not really deemed necessary for the time being. Word of mouth has been their greatest ally, what with satisfied customers spreading the word across town. 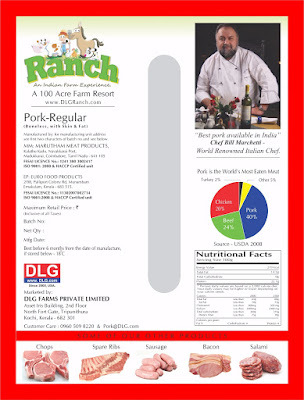 “It took 7-8 years to build up Ranch Pork. The first two years were dedicated to the set up. No business becomes successful without a solid base and that is what we did to get a strong stand in the market. 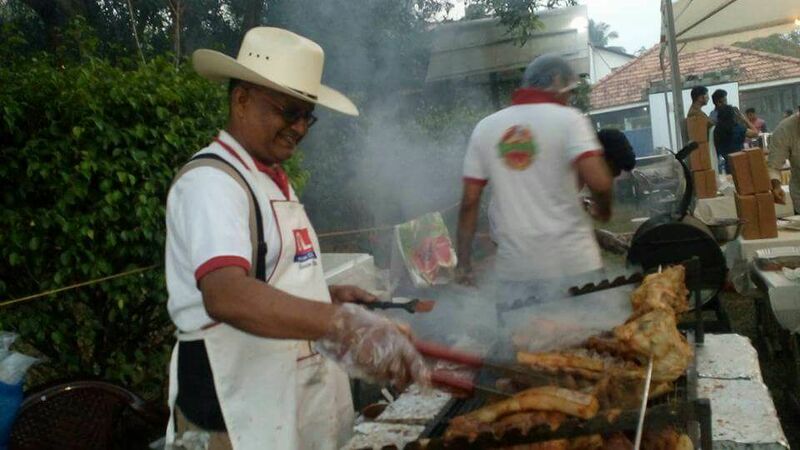 We are sure we can keep our customers happy and thusly we can be assured of a positive future for Ranch Pork” says Mr. Sanjit in conclusion. Letsstalkfood wishes you more success for the years to come! Visit: Ranch Pork Farms to read up about the company. You can also purchase products online, home delivery available. Baking things the JEEMOL way! A conversation ensued, a goodie box of lip smacking baked sweet and savories sent in for a review and I decided that Letsstalkfood simply had to be present at Jeemol’s next baking class! Last Sunday found me outside KK arcade (diagonally opposite Radisson Blu) doubtful of my sense of direction when the smell of rich, buttery garlic rolls beckoned me in! A few floors up, I saw on display freshly bakes pizzas, olive and tomato studded focaccia and golden loaves of bread. I also saw Jeemol surrounded by a dozen students ardently explaining baking with a passion that was contagious. A warm smile and hug later, I sat in rapt attention as I was given a crash course in baking. Other than the focaccia, milk and wheat loaves and pizzes, the other recipes that were being taught were garlic rolls, cinnamon rolls, masala buns and Dil Kush. A proud mother to three little darlings, Jeemol says that her children love bread. 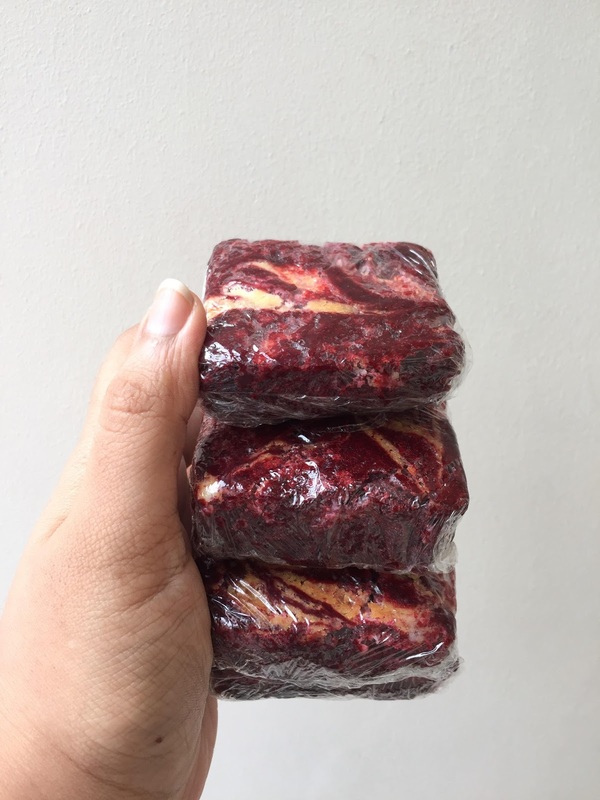 She has inclined her recipes towards healthier versions and the multigrain added into her muffins, brownies and pies don’t stop her children from gobbling up the freshly baked goodies right as they come out of the oven! Jeemol takes the class through various aspects of baking, from kneading the dough just right and the kind of fillings to put in to different baking temperatures and storage. It’s amazing how so much knowledge is packed into one tiny, energetic person! Though I just pottered around helping with the dishes and didn’t really get my hands around the dough, there was a palpable sense happiness as the class shaped and stretched their balls of dough. Their happy squeals when the milk bread was cut into perfect, delicious slices was one of the highlights of my review! Jeemol, proved an excellent mentor, helping whenever necessary but mostly giving free reign as she believes that each person has his/her own style of baking. Once the basics of baking are down pat, individual styles can be nurtured along with recipes so that something new and even more delicious could be created out of the ever versatile dough! You said it Jeemol! Bake on!